Newly released figures have shown that more than 2,000 drivers called for breakdown assistance during the last quarter of 2017 – an increase of 11% compared to the same period in 2016. According to the new data, breakdowns caused by potholes increased by 11% in the last three months of 2017. The RAC attended a total of 2,830 pothole-related incidents between October to December last year, rising from 2,547 during the same period in 2016. These figures suggest that roads in the UK are continuing to fail in quality, with the pothole issue increasing year-on-year. Breakdowns caused by potholes increase by 11% © Copyright Stephen Craven and licensed for reuse under this Creative Commons Licence. This evaluation is further supported by more statistics: as breakdowns tend to increase from the third to the last quarter of the year because of wintry weather conditions, the RAC noted that the rate of increase between these periods last year was 45%, whilst in 2016 the figure stood at 38%. More funding has been called for to support local roads and these figures should help to strengthen the case. According to recent analysis by the Local Government Association, major motorways and ‘A’ roads receive 52 times more funding than roads managed by councils. “After several years in which the surface quality of our roads appeared to be improving, the latest analysis of RAC breakdown data suggests that for the third successive quarter we have gone backwards,” said David Bizley, RAC chief engineer. 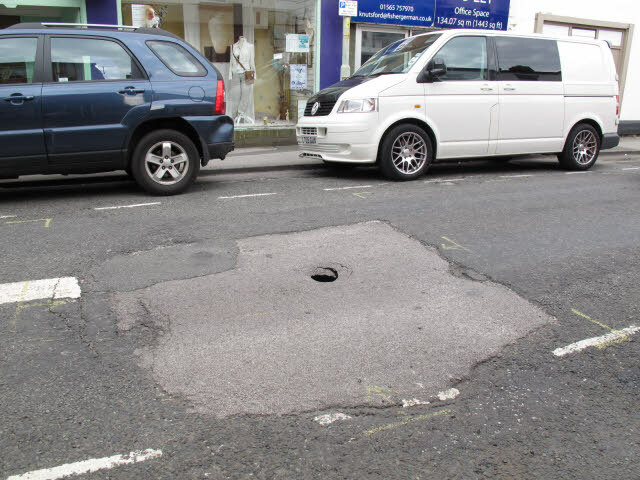 Worsening weather conditions do contribute to the already growing problem the UK has with potholes, as snow, ice and heavy rain can cause the road surfaces to deteriorate further. Mr Bizley did go on to say how the RAC was “grateful” that more funding has been announced to deal with the issue of potholes but also warned that road conditions could get worse before they get better. “If we get more ice and snow or further heavy rainfall than normal in the next couple of months, there is a risk of further deterioration of road surfaces,” added Mr Bizley. Potholes are a serious threat to road safety and can cause severe damage to vehicles which can be expensive to repair but for cyclists, motorcyclists and scooter riders, these holes in the road can be life-threatening. For more information regarding our car leasing services and fantastic deals please click here, or give us a call today on 0800 311 8290.